Mao’s Last Dancer, a film by the Australian director, Bruce Beresford, tells the story of the Chinese dancer, Li Cunxin. It is based on his autobiography. As a child, Li is chosen to attend the Beijing Dance Academy. Later, as a young adult, he goes to the United States as an exchange student. There he falls in love with an American dancer. When it comes time for him to return to China, he marries her. When he goes to the Chinese consulate to report the marriage, he is detained. An international incident ensues, in which the U.S. government negotiates for Li’s release. The consulate finally allows him to go, but they tell him that he can never return to China, and he can never speak to his family again. His marriage eventually falls apart, but all ends happily when he is reunited with his family. 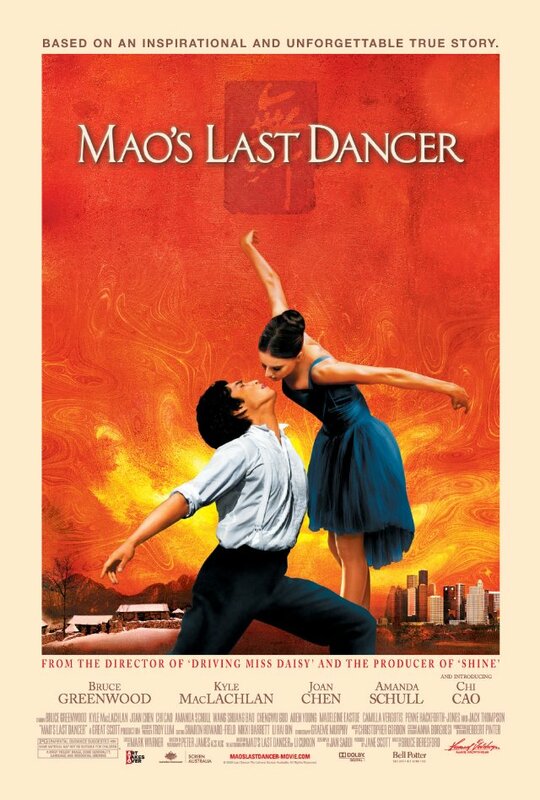 Mao’s Last Dancer is not a bad film, but I didn’t find it emotionally engaging. I suppose this is because it predictably follows the pattern of so many biopics that I’ve seen: the hero encounters adversity and manages to overcome it. The most interesting parts are the ballet scenes. (Chi Cao, who plays Li as an adult, is a superb dancer.) The film touches upon the destructive effect the Cultural Revolution had on the arts in China (one of Li’s teachers is accused of being a “counter-revolutionary”). Overall, it is implicitly critical of Maoism, although it was apparently made with the cooperation of the Chinese government. Consider this a lukewarm recommendation. This entry was posted on November 8, 2010 at 7:26 am and is filed under China, Cinema. You can follow any responses to this entry through the RSS 2.0 feed. You can leave a response, or trackback from your own site.